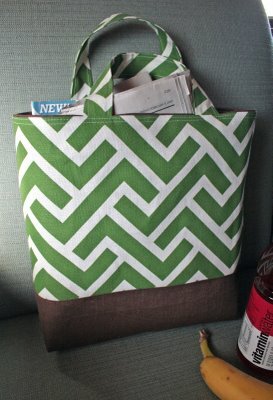 Cicada Daydream has put together a tutorial for a tote bag using a fat quarter of fabric. It uses every bit of it, so you want to make sure everything is squared and true, which may mean you need to trim a little bit here and there to get perfect measurements. 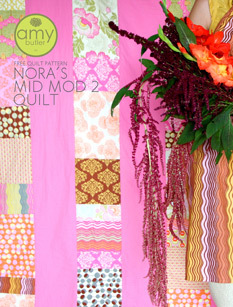 The tutorial works around the various widths you encounter with fat quarters: narrow goods (45″ wide) have a width of about 20″ to 22″ usable, and wide goods (54″ wide) might have a width of 26″ to 28″ usable. Check out her other tutorials while at her site. 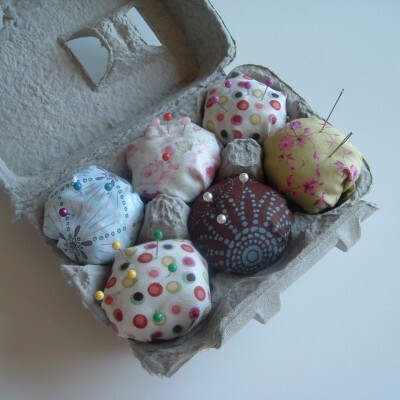 j carolyncreative has posted this tutorial for a tote bag. This is a 14 x 11 x 3-1/2 deep tote with one exterior pocket and two interior pockets—one zippered. It’s designed for hard wear with two layers of fabric at the bottom and straps that won’t rip off. While you’re there—and I know Valentine’s Day is gone for this year—look at her tutorial for a Valentine’s pennant and card. A neat idea! For the animal lover, activist, or anyone with a warped sense of humor, this buck will make anyone proud. 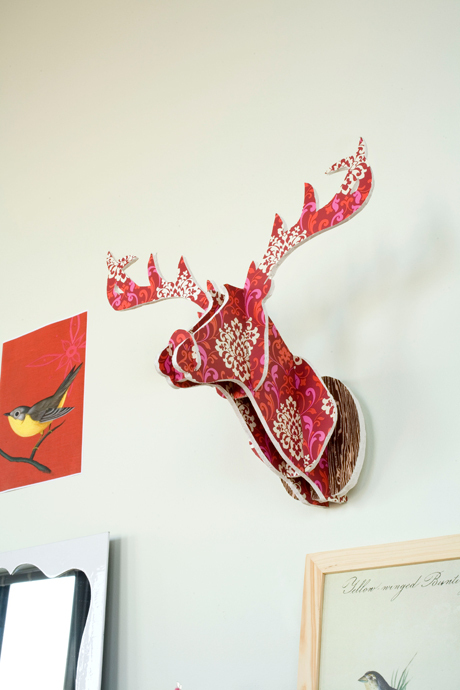 Use his antlers to hang your scarf or hat, your necklaces, or use him as wall art and dress him for any holiday you celebrate. Chronicle Books showsyou how. You make this guy is made from foam core and wrapping paper; however, that perfect hunting or camo fabric will work like a charm. 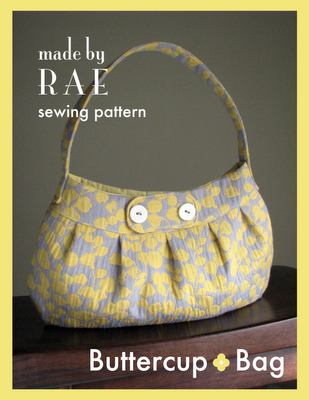 Made by Rae is offering this tutorial for her Buttercup Bag. 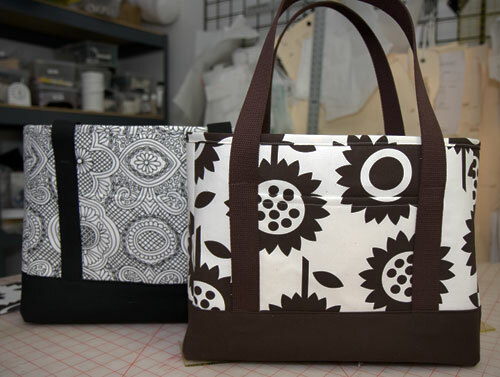 The pattern uses a fat quarter of fabric for the outside of the bag and a little less of another fabric for the lining. You’ll also need a magnetic snap and a couple of buttons, although it looks pretty cute if you leave the buttons off. You could also try piping or ric-rac over the pleats. If you have little ones, be sure and look at her tutorial for star dust shoes. And it doesn’t take much to whip up a pair for your cutie patootie! 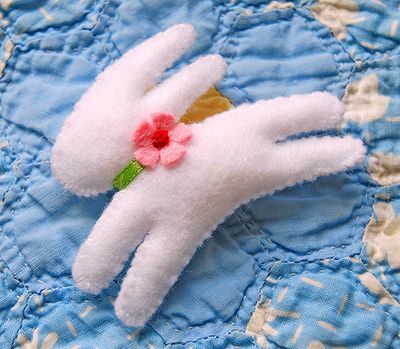 With Easter just around the corner, here’s AllSorts bounding bunny pin. He’s really teeny tiny, less than 3 inches across, but he looks very cute pinned to your sweater. He stitches up quickly, so you can make yourself a whole bevy of bounding baby bunnies for your Easter outfit…or Easter basket. 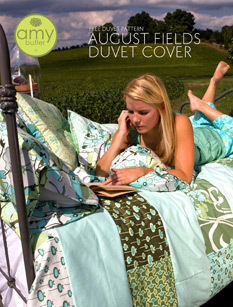 Finally, Amy Butler has put out two new patterns: her August Fields duvet cover and Nora’s Mid Mod 2 quilt. I love that fabric in the duvet cover. My problem is that I live in a small town, and I have one quilt shop that sells Amy Butler fabric, and not her complete line. I just know that I’m going to have to go to Houston or Austin to find this. I’m trying to get all caught up at work before we leave for Vegas. I’m putting together an awards banquet on March 27th—the Friday after we get back—so I’m trying to get every possible thing done before we take off. So far, so good. I have a student who works for me, and I’m leaving her with some things to do, and I’ve left her my cell number in case any emergencies crop up. At home I’m doing a little bit of digitizing…no sewing. 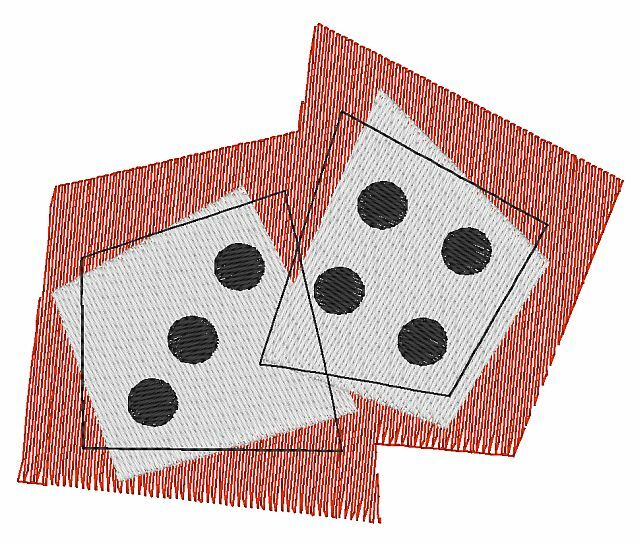 I’ve done these ‘lucky’ dice…because all I can think of these days is Vegas! You can download them on the right. 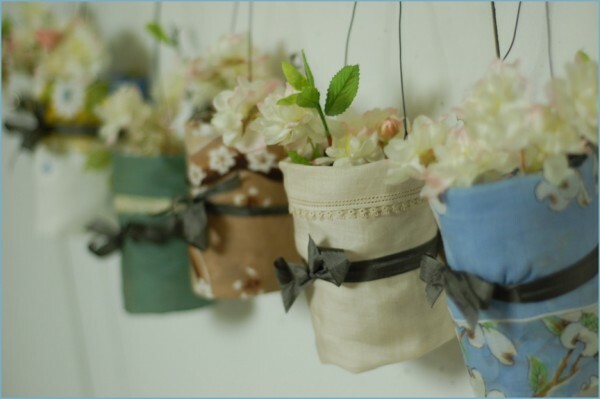 Once Wed shows how to make these pretty hanging handkerchief vases. Laurie has collected handkerchiefs for a while and has tried to figure out a way to incorporate them into a project. Handkerchiefs come in all different patterns and every color under the sun. You could coordinate these vases with any wedding, function, or just to dress up a room. After you’re finished with them they could easily be disassembled and the handkerchiefs and jars could be used again for their original purpose. This next one isn’t sewing, but these cupcakes are so cute I couldn’t pass them up. And who doesn’t love the Cookie Monster? 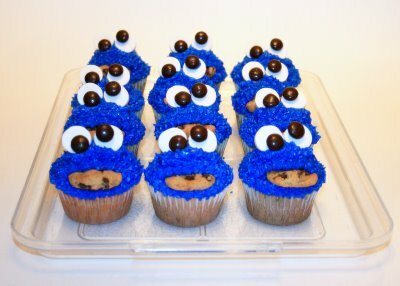 Actually, any ‘critter’ from Sesame Street would make a cute cupcake. Made by Cynthia Rae gives you the instructions right here. Be sure and check out her other tutorials for a little boy’s camping lantern made out of a peanut butter jar and a battery operated votive candle, and her how-to on how to customize coasters. 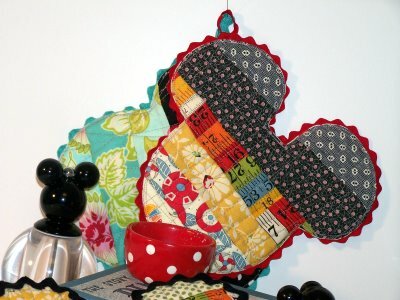 Taffy Talk has a tutorial to make a Mickey Mouse hotpad or potholder. Anything Mickey becomes a favorite to me, so I know I’ll be making some of these up for my own kitchen. Another suggestion is to shrink down the pattern and make coasters. Be sure and check on the right side column for links to other tutorials they offer…cute ones! Here’s another cute one: the Tag Monster. CraftSchmaft gives you the pattern and instructions here. 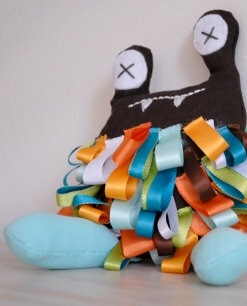 He’s a cute little guy, but just the thought of sewing on all those ribbons makes me shudder. It’s a toy but after putting in all that work I’d probably be sitting the little guy on a shelf…up high away from little fingers or puppy teeth. Here’s a neat pin cushion. It’s a perfect way to separate all your pins and needles by size and color. The great thing is that everything used to make it can be found around your house right now. You can make something functional out of scraps and trash! You can shut the lid when you’re not using it to keep out little fingers. Check out the instructions on Whipup here. Roger and I are going to Las Vegas for a week in March. Texas A&M will have spring break, and we also get a couple of days off. We’re leaving on March 14 and will be back the following Sunday. Less than a month to go! I’m already deciding in my head what all I need to pack…clothes, toiletries, shoes, the kitchen sink. We’re driving, and we plan to stop and see some sights along the way. I definitely want to see the Hoover Dam and take the tour. 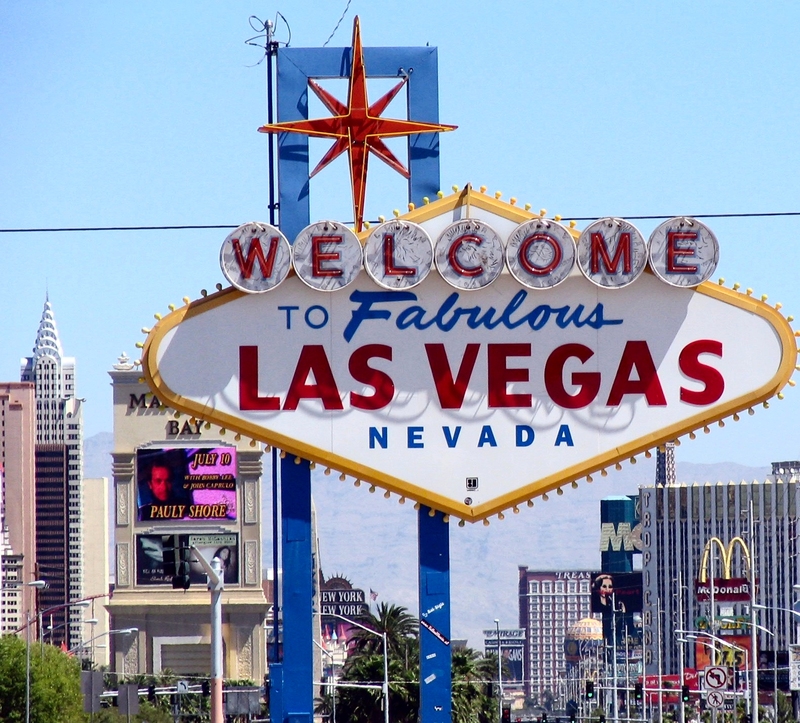 I’ve spent some time online looking for things around Vegas that we’d be interested in seeing. We’re not big into gambling…a set amount and when it’s gone it’s time to leave. If any of you have any suggestions on things of interest in and around Las Vegas please let me know. I’m also interested in any quilt shops or fabric shops in and around Vegas. Okay, I know we just celebrated Valentine’s Day, but I couldn’t resist giving you this link. 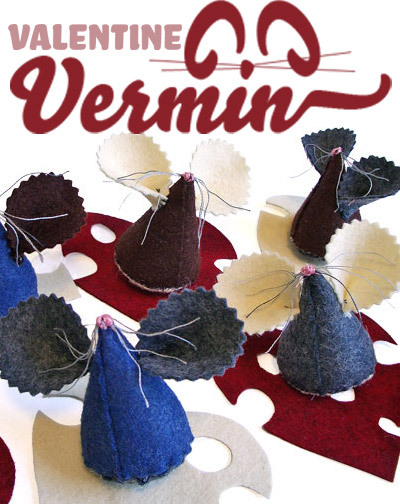 The web site for the International Chapter of the Junior Society gives instructions how to make your own Valentine Vermin. These little felt mice sit on slices of heart-shaped Swiss cheese, and are incredibly simple to make. What kid wouldn’t want to take these to school instead of those store bought cards? What better way for them to show their friends how much they care about them and value their friendship? You have plenty of time to make dozens of these before February rolls around again. Here’s a spot kids will like. 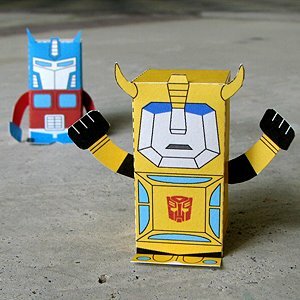 Joe, from Toy-A-Day, has started a year-long project where he plans to design, construct and post a new paper toy from a basic template each day for one year. So you’ll have 365 toys at the end of the year. All the toys are free to download if you want to make them. You can also design and make your own by getting a copy of his blank template here. An easy way to keep kids occupied. Many of you already may be familiar with Wild Ginger. Wild Ginger has a free program, Wild Things, that you can download to your computer. Wild Things! 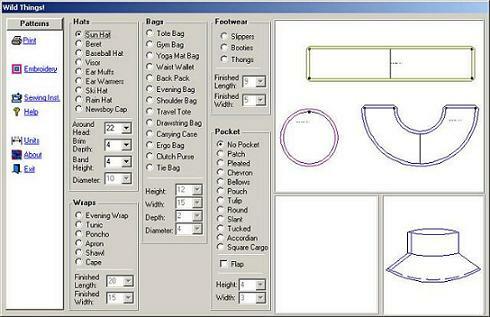 is a free software program that you can use to easily design and print patterns for hats, bags, shoes, and wraps. All of the patterns in Wild Things! allow you to specify the dimensions for each item you draft and prints them to the dimensions you specify. It has an embroidery design tool to help you place your design. Wild Things! comes complete with a ‘Help File’ as well as sewing instructions for each and every style of pattern. You do have to register in order to download the program. The fall 2009 palette is more unique and thoughtful than the typical autumnal hues of years past. Designers recognize the desire for fundamental basics that speak to current economic conditions, but also understand the need to incorporate vibrant color to grab the consumers’ eyes and entice them to buy. Subtle contrasts make up the diverse palette for fall 2009. 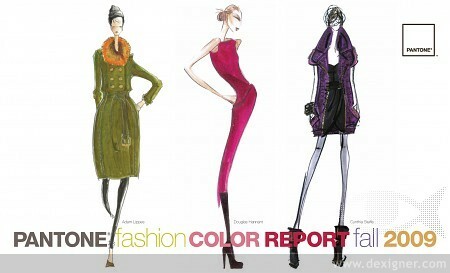 This season, designers play with a broad spectrum of color resulting in distinct, yet cohesive combinations. Like a painter’s palette, fall 2009 offers choice and diversity, but the unexpected integration of colors is what makes it so appealing. A natural choice during uncertain times, patriotic American Beauty, a wonderfully balanced, true red, speaks to the need for cohesiveness. Perfect for all skin tones, American Beauty is a feel-good color. Purple Heart connotes a sense of refinement and sensuality, adding an air of creativity and excitement to the top 10, especially when paired with American Beauty. A warmer, more subdued Honey Yellow carries the 2009 color of the year through to fall and winter with its golden tones. Pairing Honey Yellow with its color wheel opposite, Purple Heart, will surely add a surprising flair. Or, for a more typical fall combination, group Honey Yellow with Burnt Sienna and Iron. Strong yet understated Iron serves as the “new black,” making traditional basics much more interesting. Neither gray nor brown, Iron is a grounding color that coordinates well with all colors in the palette. Crème Brûlee, a grayed-down beige, and Nomad, which bridges the gap between beige and light gray, also speak to the need for timeless neutrals. All three classics can stand alone or serve as anchors when paired with other colors. Fall would not be complete without a seasonal favorite like Burnt Sienna, a deepened, earthy shade of orange, reminiscent of an autumn sunset. Pair this versatile hue with Nomand and Rapture Rose for a different twist. Adding spark to the fall palette, Rapture Rose artfully captures the vibrancy of fuchsia and the softness of pink. Underscored by nurturing and feminine tones, Rapture Rose enlivens the more traditionally subdued fall hues. Look for it in cosmetics as well as clothing and accessories. Like the olive in a martini, Warm Olive, a rich yellow-green, adds a touch of elegance and sophistication to fall. When combined, this tangy, intriguing hue makes all other colors come alive. Look for it paired with Majolica Blue, a deep, mysterious teal blue with more vibrancy than the usual navy. Majolica Blue brings an exotic flair to the group, especially when paired with Burnt Sienna or Purple Heart. …and here’s why. He handed me this red box. An early Valentine’s present he said. 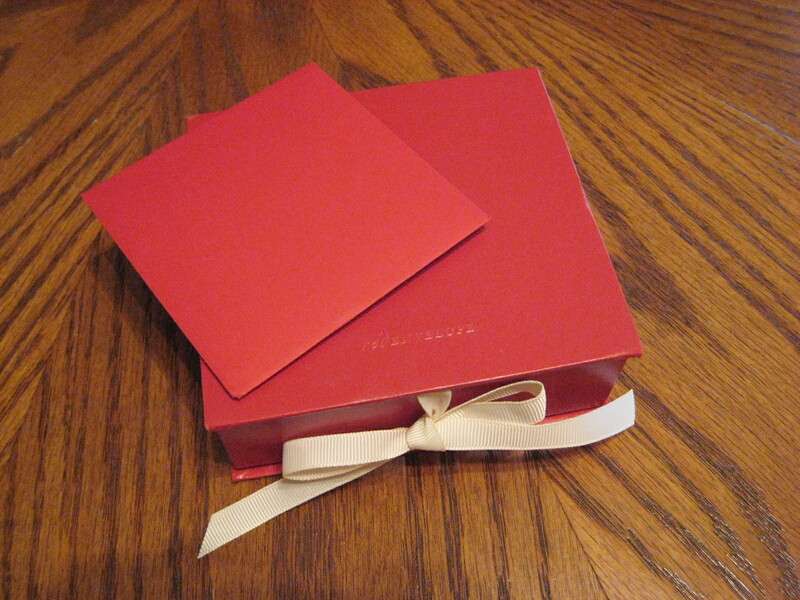 And here’s what was inside the red box. This is called the celestial diamond necklace. It’s a depiction of The Pleiades, a constellation also known as the Seven Sisters. According to Greek mythology, when the sisters were pursued by Orion the Hunter, Zeus answered their prayers for help by transforming then into doves, and later into stars. 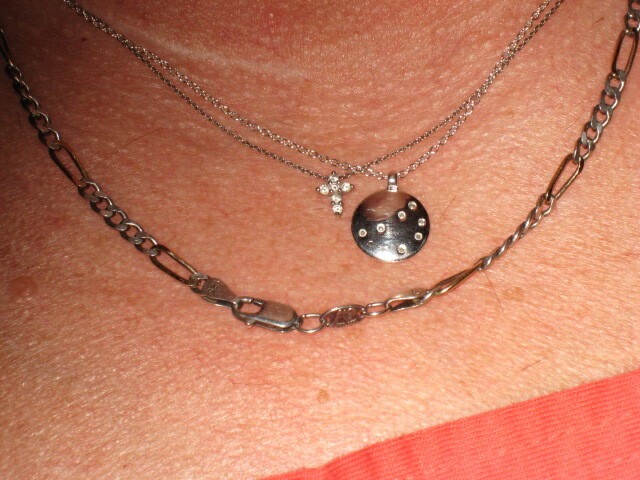 The necklace is a depiction of the magic of the universe. There are seven diamonds, one for each sister. And here I am wearing it (I got my hair cut this evening, which explains all the little bits of hair on my neck). 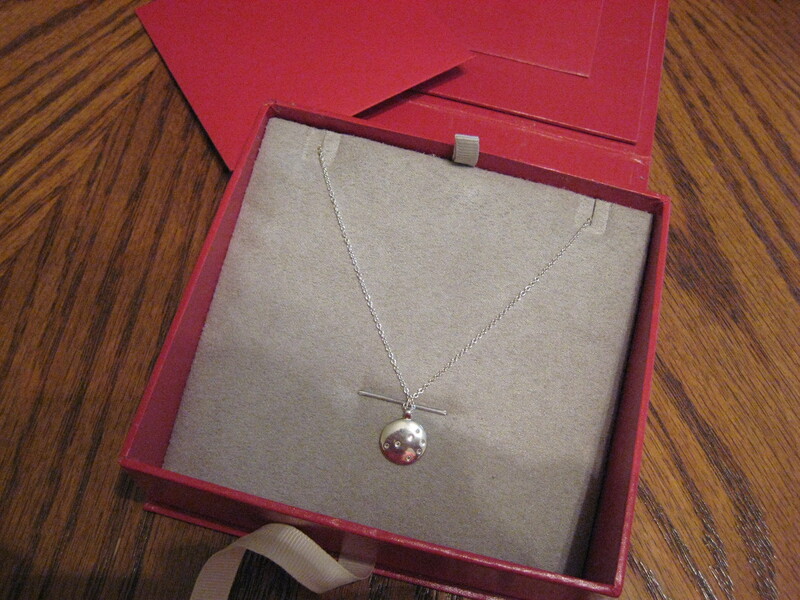 Roger gave me the cross last year…just because. It’s a Roberto Coin. His trademark is placing a ruby on the inside of each of his jewelry pieces. It’s based on an Egyptian legend that “a ruby touching your skin brings you great happiness and good fortune.” A ruby is always positioned closest to the skin in keeping with the ancient Egyptian legend symbolizing prosperity, beauty, happiness, and health. You can stitch these designs for personal use, to give as gifts, or to sell. You can add text, resize, or change colors. The design is not yours because you make changes. You cannot sell, share, give or trade any design. You can only sell the stitched design. The copyright of the design is mine. Please direct anyone interested in my designs to this site. Give credit to Isle B. Stitching. Thanks and enjoy! Evelyn Dockery on Remember the Polaroid?